Stand out in the most HR-approved way with this ultra-stretchy floral. Long and lean, this silhouette holds you in and retains its structure throughout the day. Just add a killer red lip come happy hour. Made in NYC. Below are the exact measurements of the York Dress. All measurements are in inches. 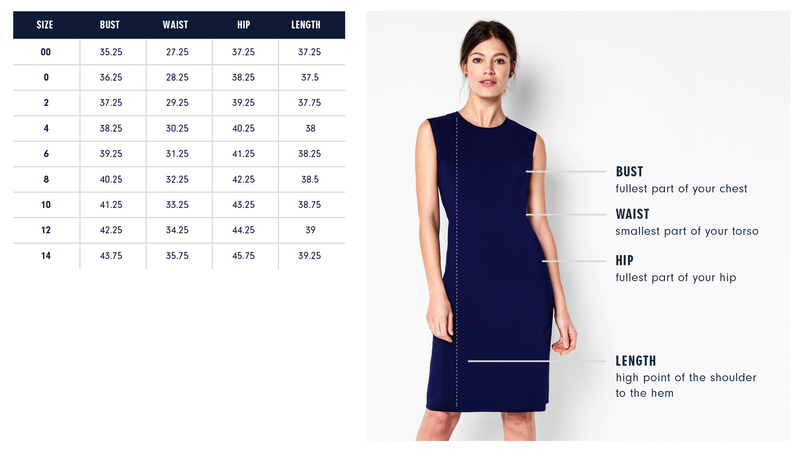 For general sizing and measurements, please visit our Size Guide. A forgiving fit that skims the body. Hemline falls just above the knee. I love this fresh contemporary take on a floral print. It adds a touch of femininity while still feeling modern. And the Italian neoprene fabric makes this dress super comfortable and travel friendly! Features: Vent at center back for added movement. Contoured armholes for coverage and movement.